Liquid product formulated with anionic and nonionic surfactants, dispersants and surfactants scavengers. 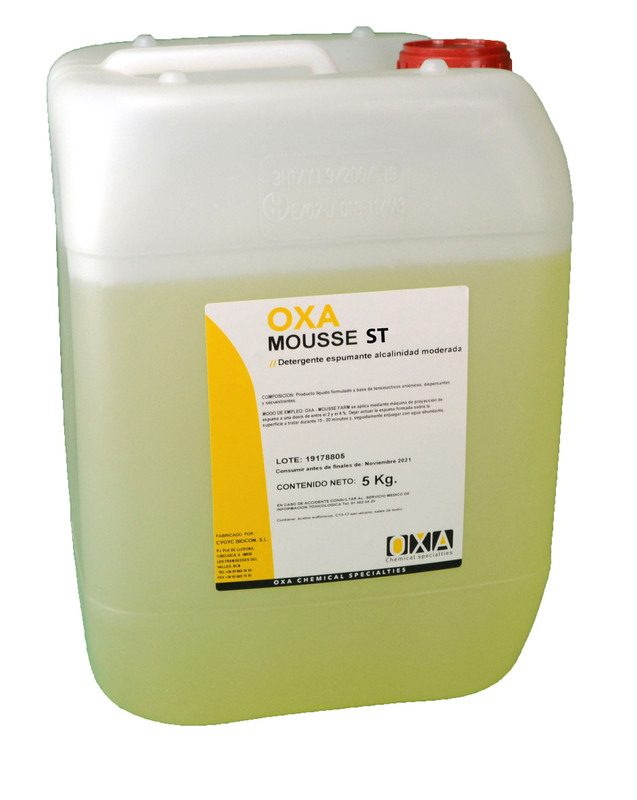 OXA - MOUSSE ST is a clear, colorless liquid detergent. Applied by spraying machine foam provides a degreaser and sequestering effect, with a special action on the very soil from (meat, dairy, canning, etc.) food industries. Thanks to its high sequestering OXA - MOUSSE ST remains effective even in waters with high lime content.